CHARLESTON, SC-HOLMES- Minister Karen Michelle Holmes was born February 17, 1954 in Jamaica, New York to Pamela Holmes and Earl Burnhart. As the first-born, Karen or Boobie, as she was known to her family, not only assumed the position of eldest, many times she provided mothering to her siblings and mother as well. Karen attended public school in Queens, later enrolling in Bronx Community College and Webster University to further her education. She managed to do this while maintaining her duties as mother of her own two sons, Stephen and Roy Holmes. She worked as an LPN at the VA Medical Center, where she retired due to a disability sustained on the job. In 1983; Karen married David Dobson, who helped her to nurture and care for her brother's four children who she moved in with them in South Carolina. Karen was a go-getter, the type of person who was always looking to improve her life and those around her. If there were any questions or problems with her immediate or extended family, one could always count on Karen to get actively involved. Seeing that it was easier to provide for her children in the South, Karen was instrumental in relocating her mother and siblings so that she could reunite the family-with each one helping the other. Karen's labor of love with her children is legendary. She focused on providing a stable, wholesome religious upbringing, while ensuring each child was prepared with an education and survival skills. All of her children graduated and continued to college. But Karen never ceased to instill a strong sense of family to her kids. Whenever she could, she would send for her brother's other children to keep the bond strong among them. But Karen kept her sights keen on her extended family as well. It was nothing for her to pile her kids in the car and drive back to New York for a family function. She never hesitated to represent her side of the family, which was demonstrated by the fact that she managed to go to her cousin Mary's 85th birthday in New York shortly after leaving the hospital this past July. To know Karen was to love her. Her loveable, jovial ways were refreshing to all who knew her. Yet, it never stopped her from taking care of business. She made time every month to join her sister Paula for "Sister's Day" where they would meet midway of their homes and go out for lunch and enjoy each other's company. Her sister called Karen her "lawyer" who she knew she could count on for strong representation. Karen was deeply committed to the love of God and never hesitated to remind folks that "she was a woman of God who walked in the blood of Jesus. She was ordained as minister at Word Ministries in South Carolina and ministered at the Mt. Moriah Baptist Church in North Charleston as well as performed the services of chaplain in Colleton Medical Center. In addition, she volunteered as a counselor at the House of Ruth, women's shelter-helping women to get back on their feet and obtain services for themselves and children. Karen enjoyed a good laugh and playing practical jokes. A consummate homemaker, Karen was known for her immaculate home, and the joy she received from her other child "Bella" - the cat. Karen will truly missed by all who knew her. 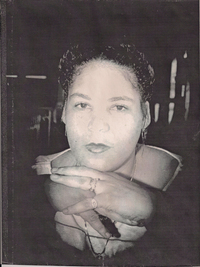 She is predeceased by her mother Pamela Holmes and brother Andre. She leaves to mourn her sons, Stephen and Roy along with 'her children' Anthony, Eric, Andrea and Ebony Richardson, as well as nieces Brandee Richardson, Monique Holmes and Andre Holmes; grandchildren Philip and Yazmahn Holmes, Nichole Lynah, and Ambrosia Keel; sister, Paula Stephens, brother-in-law Tony David Stephens and a host of cousins and friends. Celebration of Life Service Honoring the Life of Minister Karen M. Holmes will be celebrated on Saturday September 21, 2013 at 5:00 PM at Mount Moriah Missionary Baptist Church, 7396 Rivers Avenue, North Charleston, SC 29406. Minister Holmes will repose at the church from 3:00 PM until hour of service. Professional Service of Comfort Entrusted to Roberson Funeral Home of Statesboro. Mount Moriah Missionary Baptist Church, Inc.